Countries like South Korea are already regulars in major competitions but have not yet been able to fully consolidate among the best, something that little by little is changing thanks to the great commitment to this sport they have made. However, it is a matter of time, and rather little, that Asian footballers make their way among the big stars. And South Korean footballers have many ballots. At this point no one doubts that the mythical multiplayer Manchester United Park Ji-Sung has substitutes. In fact, the enormous emergence in recent years of Heung-Min Son is undeniable. The Tottenham striker is one of the most destabilizing players in the English Premier League and day after day is showing all the football he has in his boots. But the case of Son is not the only one and in Spain they know it well. This season the young footballer of Valencia CF Kang-In Lee is surprising all lovers of this sport thanks to its qualities, polished under the training and knowledge of European football, which is one of the keys to success. And are that more and more young Korean players who decide to pack and become part of an International Academy of European Football with the mission of preparing for the elite of football and see how far they can get. For this, and given the many Academies that exist, it is essential to choose the right one, with the International Football Academy of Soccer Inter-Action being one of the most outstanding thanks to its countless resources. In addition to having a High-Performance Center with elite facilities, the Football Academy in Spain of Soccer Inter-Action has a training program based on the ‘Tactical Periodization’, a methodology implemented by one of the most important clubs and laureates. of Europe: FC Porto. An FC Porto that bet from the beginning for Soccer Inter-Action and whose professionals are part of the daily life of the Football Academy. In addition, the numerous contacts and excellent relationships with clubs around the world allow to facilitate testing in professional organizations, as has been the case of players like Puma, Guille or Felipe. Look at the evidence of Puma in FC Porto. One of the basic pillars of Soccer Inter-Action is the competition. Aware of the great importance of competing to the maximum to achieve success, the SIA International Football Academy is committed weekly to organize friendly matches beyond the leagues that their players play on weekends in the ranks of their Football School FC Porto Dragon Force Valencia. One of the last to be played was against the Korean team Club de Visión. This entity did not want to miss the opportunity to see the elite sporting facilities of our High Performance Center (located in Enguera, Valencia, Spain) and accepted the proposal to hold a friendly meeting in the youth category (U18). 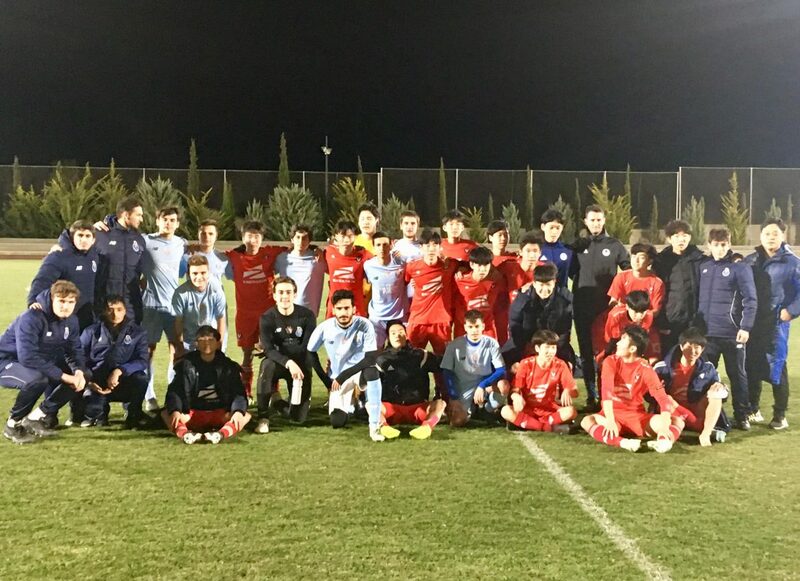 This duel was a nice experience, both sporting and cultural, for the football players of the Football Academy and concluded with the satisfaction of having completed a game of great intensity and good game, leaving the Korean team very grateful also for the experience. What do we know about South Korean football? Most Spanish football fans will answer this question with a resounding ‘ 2002 Football World Cup ‘. And it is that the maximum competition at the level of selections was held that year in the Asian country and had an unpleasant memory for The Spaniards, since they were apeados of the tournament in eighth of final in front of the host country in a very controversial party due to the arbitral decisions. But there is football in South Korea beyond that World Cup. 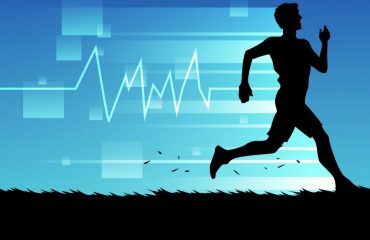 In recent years the domestic competition of this country has grown much its level, although it should be noted that still does not reach what is seen in China and Japan. The K League 1 is made up of twelve football teams that during the months of March to October compete to raise the trophy, something that this last season made the Jeonbuk Hyundai Motors FC with featured football players like the left side Jin-Su Kim, the striker Shin-Uk Kim, the midfielder Seung-Ki Lee or the Brazilian end Tiago Alves. How is football in South Korea? 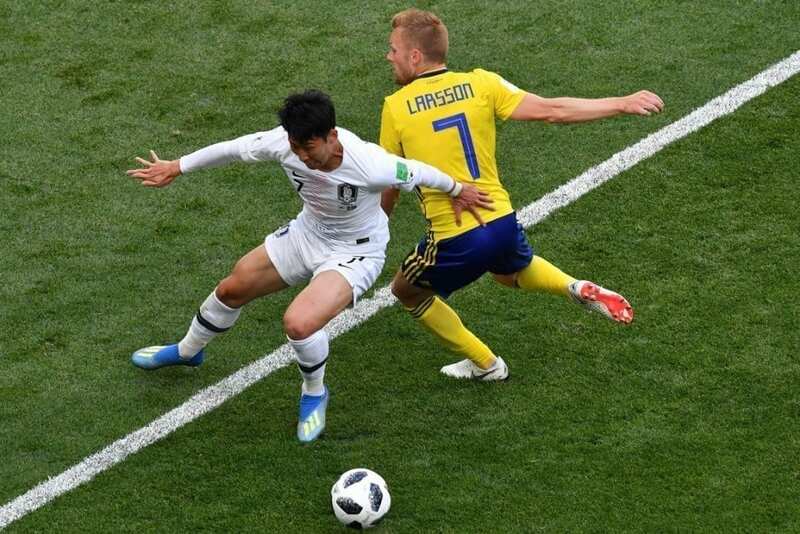 As in almost every country, in South Korea, football (in conjunction with baseball and Taekondo) is one of the most practiced and popular sports. It has more than 1 million of practitioners although only 31,000 players registered. La KFA (Korea Football Association) with a hundred federated clubs, organizes the Korean league system (K-League Classic and K-League Challenge. It also manages the national teams and the South Korean Cup. The Cuju Chinese ball game, which we discussed in the article about the origin of football, would be the one that introduced the precursor of football to the Silla Kingdom of Korea. It would not be until one thousand eight hundred and eighty-two, when a British warship, which traded with Korea, introduced modern football. While waiting in the port the crew and the children of the population played the first game. The Korean students of the Royal English School in Seoul would officially be the ones who practiced it. Disputing the first regulatory party in eighteen hundred and ninety-seven between the crew of the English ship Narcissus and the native Korean population. The Korean Football Association (KFA) was constituted in one thousand nine hundred and thirty-three. 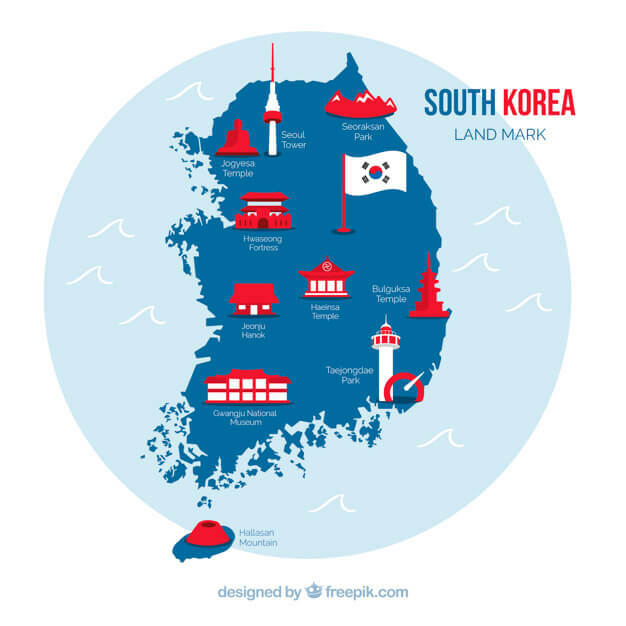 In the 48 Korea was associated with FIFA and in the 58th admission to the Asian Confederation And in that same year he got to win Japan in the World Cup football nineteen fifty-four. He won his first two Asian cups in 56 and 60. A lot of road traveled Korean football since the Korean National Football Championship, played by direct elimination, going through the debut of Korean players in European leagues, Cha Bumkun in Germany or Huh Jung moo in the Netherlands, until the creation of the first league professional from Asia. The Korea Super League of ’83 would be formed by franchises of large companies in the country. After his qualification in nineteen eighty-five for the World 86 has not missed any appointments. Together with Japan he organized the 02 World Cup. The Koreans reached the semifinals after beating Italy and Spain, losing against Germany. The Korea Football Association (KFA) organizes the league system. The season starts in March and ends at the beginning of December. The professional league is composed of two divisions and is known as K-League. The system of closed participation and no club of inferior category accedes by merits sports but by determined requirements. The first professional division formed by 12 teams, the K-League Classic was born in the 83 It is formed by twelve teams. The second professional division formed by 10 teams, The K-League Challenge was born in 2013. There is a professional tournament or Cup of South Korea, the Korean FA Cup in which the first division teams participate, the teams of the main inferior categories and the best of college football. It is one of the best football tournaments in Asia. There are semiprofessional tournaments, independent of the K-League. The third division formed by 10 teams; The National League of Korea, Korea National League. First a regular season is played with three rounds. The first four go to a play-off in which the title is disputed. The fourth division Challengers League already formed by amateur teams in two groups. The university football league U-League has many followers. The first female division, the WK-League of 8 football teams is disputed double-turn since 2008. The men’s selection or Red Devils are part of the Asian Football Confederation since 54 and depends on the KFA. Its most important rivals are Japan and North Korea. The most international player is Hong Myung Bo And the top scorer is Cha Bum Kun. Main article: South Korean women’s national football team the South Korean women’s team has been on the 90 and has only once been able to qualify for the Women’s World Cup. His most international player is Lee Myung Hwa and his scorer Cha Sung My. The South Korean teams were created in the 80 of the hand of big Hyundai companies, Daewo, Samsung, LG or Ilhwa. Currently only sponsor. And they’re community. There are 100 football clubs and more than 1 million footballers, but only 31,000 are federated players. In South Korea, the mandatory 24-month military service before the 28. Professional players are obliged to comply. But they can be fought for sporting merits. During that time, they can be transferred to the football teams of the state security forces.